People are retiring, on average, later than they used to – but only slightly later. Various studies have shown that while Americans anticipate retiring much later than they used to, in reality they find themselves leaving the workforce earlier than predicted for a variety of reasons. 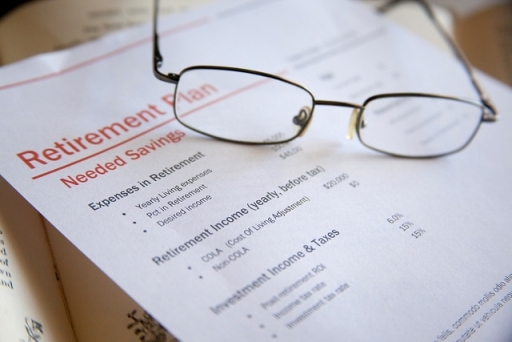 Both the exaggerated expectations, and the slightly older average age of actual retirement have implications for retirement planning. According to a recent Gallup poll, U.S. citizens are retiring on average at 62 years old, the highest Gallup has found since 1991 when it started surveys with this question. While Americans are retiring at the slightly older age of 62, according to the Gallup poll, non-retired Americans say they plan to retire, on average, at 66 years old. The reasons behind planning to retire later include changing Social Security incentives, a shift to 401(k) plans, improving health, improving longevity, better education, less physically demanding jobs, and a change in social norms. All of these explain why Americans expect to retire much later than they used to, at about 66 years old. The question remains: why aren’t they actually retiring as late as they expect to, in fact leaving the workforce about four years sooner? Some people retired earlier than they would have liked when their employers went out of business, and at their advanced age found it impossible to find alternative employment. Others left when their job requirements simply evolved faster than they could. But far more common are retirees who left the workforce before they had anticipated, due to a health problem or disability, or a health problem or disability of a loved one. This accounts for about half of all earlier-than-expected retirements. In light of these findings, it is more important than ever that couples start saving a separate emergency fund in their 50s, so that in case they end up leaving the workforce earlier than they anticipated when setting up long term financial plans, they can still meet their needs. Remember, many Americans are finding themselves both retiring early and living longer, resulting in many more years in total that they need to support themselves financially, while not working. People who are forced to retire early, for whatever reason, especially those whose health insurance is through their employer, shouldn’t rely only on Medicare, which is only available from age 65. Alternative private and supplemental insurance plans should be researched and set in place, in the event that there is a gap between coverage through work, and Medicare, for example, if you end up retiring for any reason before age 65. Those people retiring early and living longer not only have more years to cover financially while not working, but they also have a greater chance of wanting or needing homecare support for themselves of their spouses at some point. Preparing for this possibility early on, both financially and emotionally, will make putting any plan into action, should the occasion arise, far more smooth and comfortable. If you have any questions about planning for homecare in retirement, regardless of your current age or employment status, get in touch with Abcor today. Abcor is up-to-date with the current retirement scene and can tailor a homecare plan just for you. Abcor can also help you evaluate your long term care insurance options, so you can pay a small premium today for the care you need as you age.